Opioid pain medications should not be prescribed as first line medications for the treatment of chronic pain. Opioid or narcotic administration is widely rejected in the treatment of chronic back pain due to possible toxicity, physical dependence, and the loss of efficacy due to developmental tolerance, psychological dependence or addiction. In special circumstances, opioids may be prescribed for patients with chronic nonmalignant pain by specialized clinics such as CareFirst. Long-term opioid therapy should be considered only as the last treatment option in cases of pain unrelieved by non-opioid medications, therapies and lifestyle changes. Naloxone prescription and education for all patients with MEDD ≥ 50. Opioids are morphine-like substances and have been available for centuries to relieve pain. The term opioid is derived from opium, which is an extract from the poppy plant. There are naturally occurring (opiate), synthetic (opioid), and semisynthetic forms. Most opioids are agonists, a drug that binds to a receptor of a cell and triggers a response by the cell. An agonist produces an action. It is the opposite of an antagonist, which acts against and blocks an action. Patients taking prescription opioids are at risk for unintentional overdose or death and can become addicted. From 1999 to 2014, more than 165,000 persons died from overdose related to prescription opioids in the United States.1 Up to 1 out of 4 people receiving long-term opioid therapy in a primary care setting struggles with addiction. Dependence on an opioid drug in order to live your life in a normal fashion, free of pain, is no different than the diabetic who must take insulin every day to keep his or her blood sugar under control. Would you regard such a person as an addict? We sure wouldn't. If you have severe pain because of an injury or illness, and your physician believes that your life would improve under careful administration of opioid-type medication, you're being treated for an ailment, not seeking amusement or mood alteration. Patients receiving such drugs are taking them for their therapeutic properties not for their psychiatric effects. Addiction is a continuous uncontrollable craving which results in compulsive opioid use. Patients are unable to take opioids as prescribed, continue to use despite doing harm to their (or other's) quality of life. It's a dangerous decision to carelessly use intoxicating drugs not for their pain relieving properties, but for another effect they offer in high doses: euphoria. Addicts seek drugs to alter their mood. They seek their psychiatric effects not their therapeutic properties. Addiction is a disorder and affects different parts of the brain than physical dependence. What is responsible Chronic Opioid Therapy (COT) prescribing? 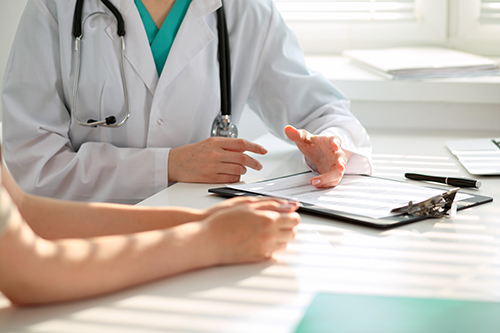 CareFirst’s goal is ensure that patients with chronic non-cancer pain are treated effectively and compassionately, in accordance with medical evidence, national guidelines and Texas Medical Board requirements. 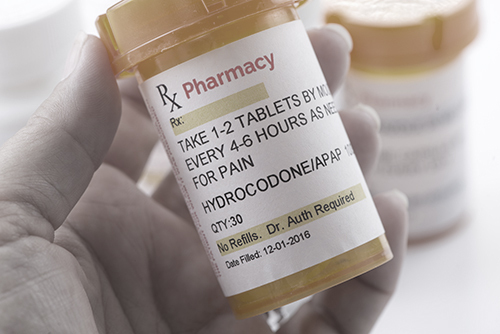 CareFirst providers are committed to preventing opioid overuse and identifying system-wide solutions for prevention of overdose and harm from opioid medications. We need to improve prescribing of opioids, expand treatment of addiction, and reduce access to illegal opioids. Potential medical and behavioral harms of opioids are an important concern, particularly at higher dosage levels and in higher risk or medically complex patients. While COT at lower doses may be a useful treatment for some patients, it should only be considered for carefully evaluated, closely monitored patients when a cautious, structured and selective approach is employed, and clear benefits for pain and function are documented. COT always entails risks for patients, their families and the community, so vigilance and caution are essential. Patients selected for COT at CareFirst will be treated with compassion and understanding. It is the responsibility of the provider, and your responsibility as the patient, to work together to promote strategies of safe and effective opioid therapy.